Applications are NOW being taken for the Gaeltachta Scholarship 2019. 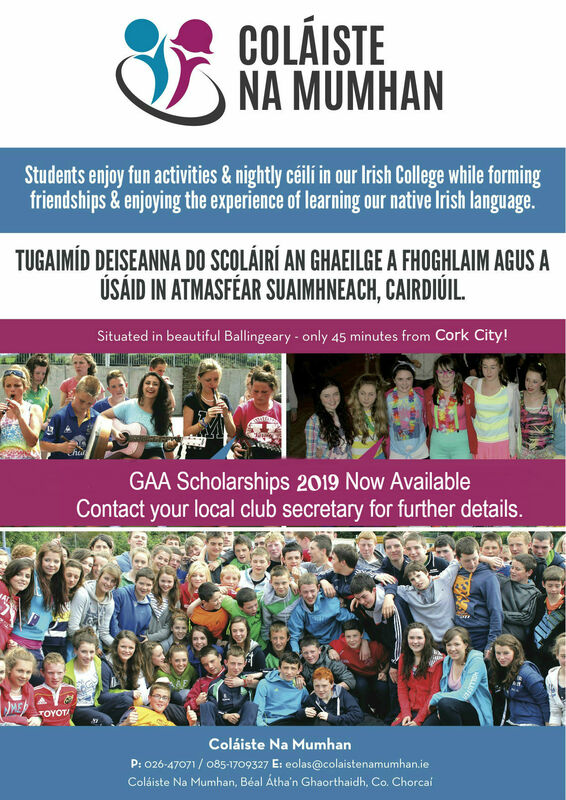 Please click on the following link Eolas ar Scoláireachtaí 2019. to down an Application form which includes details of the 2019 Gaeltacht scholarship scheme. This can be photocopied as needed. Please also be aware that the Cork scholarship scheme applies to Coláiste na Mumhan, Béal Átha’n Ghaorthaidh ONLY and does not apply to any other Gaeltacht college.